We'll come to your party. 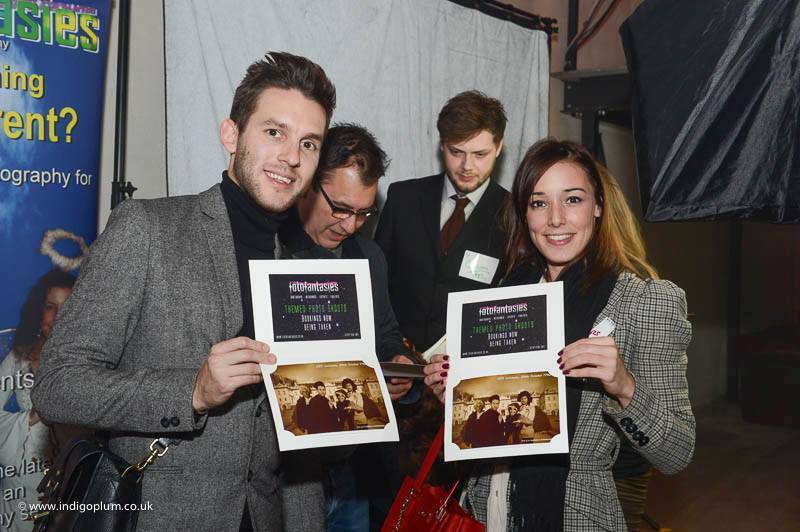 Then your guests dress up, pose in front of our hi-tec theme screens and then take away instant prints. It's as simple as that. We are here to make your event extra special by transporting your guests to other worlds, using green screen technology. Welcome to our website, which we will hope will tell you everything you need to know about what we do and how we can bring our style of photography to your event. Weddings, Birthdays, Barmitzvahs, Hen Parties, Corporate Events - Whatever the occasion, whatever the budget, our aim is to provide something new and different. Our special effects event photography services will help make your day unforgettable, with new services that you wont find elsewhere. We are based in Hertfordshire and use professional and enthusiastic photographers combined with cutting edge technology to help you host a truly successful event. Our photography kiosk has been custom built to incorporate no less than 7 separate software packages to take care of running the camera equipment, live view kiosk display, green screen editing, printout management, facebook uploads, slideshow projection and automated foot switch. We even have flashing lights and lasers built in! All the components run together seamlessly to offer a high end green screen service. In fact, most of the time we don't even use a green screen. The latest screens are silver and offer better flexibility and results. Before we found our feet, we started from scratch with just an idea and a small spending spree! So how did we come to be? This is the story of how we came to become to be one of the leading special effects event photography companies in our field. 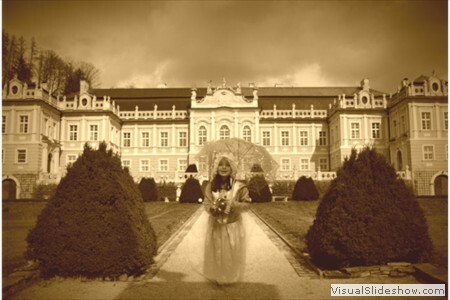 My name is Simon, and I founded Fotofantasies in 2010 as a direct result of my own wedding experience. 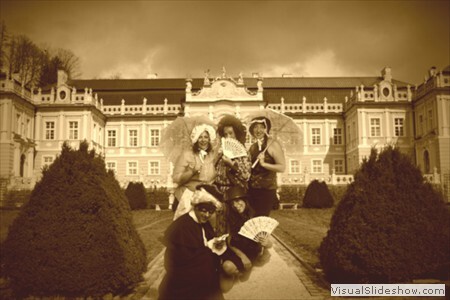 We were having difficulties finding a supplier to give us an authentic 18th Century photo shoot with props of the period and so embarked on a quest to find a freelance photographer who would satisfy our slightly unusual needs. We didn't just want a photographer, we wanted instant printouts, small photographs to be inserted into ornate name places and large photos for the guests and guest book. We also wanted the photos to be projected into the main hall so that images of the evening could be watched by our guests. To add to that, the space we had available was up some narrow stairs and therefore a photo booth was out of the question. 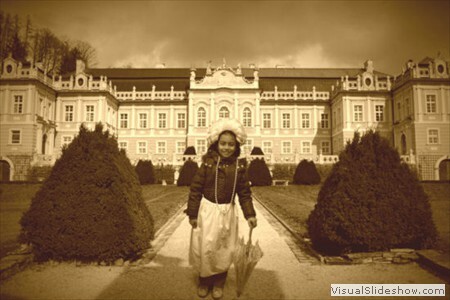 It seemed that sepia coloured photographs would suit the theme, so that was a requirement too. Luckily we found a local photographer who was very keen to take the job on and so plans were drawn up to make it happen. The big day finally approached. Having witnessed our guests enjoying themselves and queuing up to have their pictures taken, the seeds of Fotofantasies were sown. It was later on in the evening when the photos were being projected on to the ten foot screen that I realised how much entertainment this was giving to everyone on the dance floor and how I just had to offer this fantastic service to the public. Two months later Fotofantasies as we know it was born. Having taken the original concept from our wedding, we built and refined the process and now offer something quite original, but also affordable. We hope that you will find out for yourself how memorable our services could make your event. With its cosmopolitan feel and endless activities, London has so much to offer you from world famous sights, amazing shopping and some of the trendiest bars and clubs in the UK. Liverpool is a favorite destination for stag parties and weekend stag dos. For the night time lovers, there is a vast range of bars and clubs to suit every stag's mood. 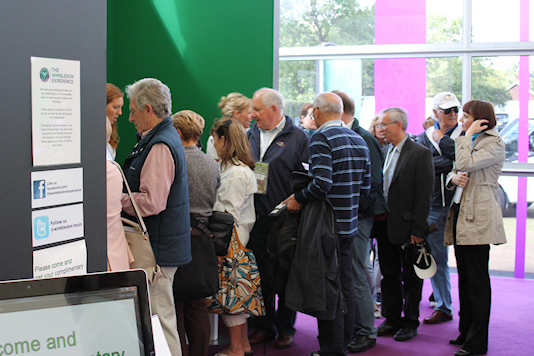 If we have hosted one of your events, you can view your photos here. You may need a password to access the photos. We are an official reseller of the fantastic Photokey 4 Pro Green Screen software. Get a great discount off the RRP with our partner, Undercutter. Welcome to The Hen House. 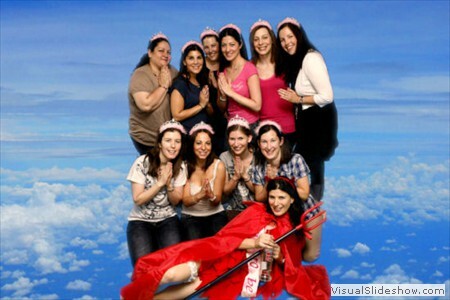 If you are planning a hen party with a difference then you have come to the right site. Here at The Hen House we specialise in offering beautiful venues, in the UK and Europe at the higher end of the market. Partyoffers is the UK event industry online directory listing a vast range of service suppliers, entertainers, caterers and venues for corporate events and private parties. 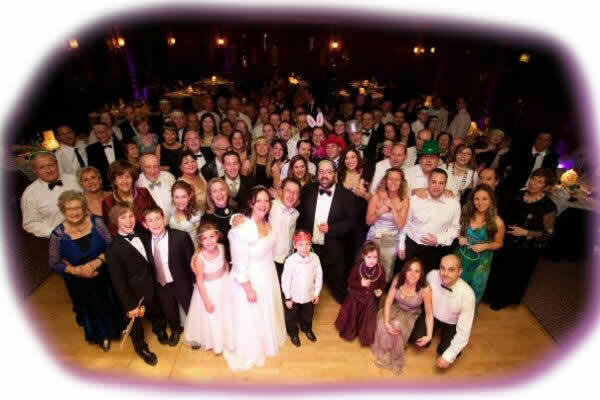 Barry Hicks, Essex & London Wedding Party & Corporate Magician. Barry is an entertainer from Hornchurch, Essex whose engaging personality is perfectly at home performing walk around magic or presenting table magic at your event or function. Barry is an Award Winning Magician who started performing professionally in 1986 and has performed for many celebrities including famous sports people and TV presenters and soap stars, promoters and dignitaries. I am a photographer in Beaconsfield, South Buckinghamshire, specialising in family portraits and lifestyle photography.I have always loved photography and I am lucky enough to be able to spend my time doing something that gives me so much pleasure. I hope to be able to share my enthusiasm for creating lasting images with you. We are a Photography Company based in London part of Action Sports Creative Services.The Company specializes in photography on Sports Competitions, Tournaments, Events and Club Teams in Athletics Photography, Cycling Photography, Tae Kwon Do Photography, Ice Skating Ice Skating Photography, Boxing Photography and other Sports. GreatPhoto, based in Essex we are a husband and wife team providing wedding and portrait photography. We operate from an 18th century studio in Tillingham or we can visit you. Check out our website for more information. Gary Schiffman is a Top Close-Up Magician, with his unique brand of magic Gary is the ideal entertainment your function or event.He can entertain your guest's performing close-up mix and mingle or table to table magic. Photo-Doctor.co.uk is Keith Malone who specialises in Portrait and PR photography, and is skilled in Photoshop image enhancement - he even has a "wrinkle removal" service! Take a look at his website for contact details and examples of his work. Our mission is to be the consumer`s first choice for fancy dress costumes and party accessories. We aim to put our 25 years of "brick and mortar" retail experience into our online endeavours and aim grow from feedback our loyal customers. Stag Party has designed thousands of stag weekends with a wide client base. It has also been a leading name for designing team building events and birthday parties in Edinburgh. 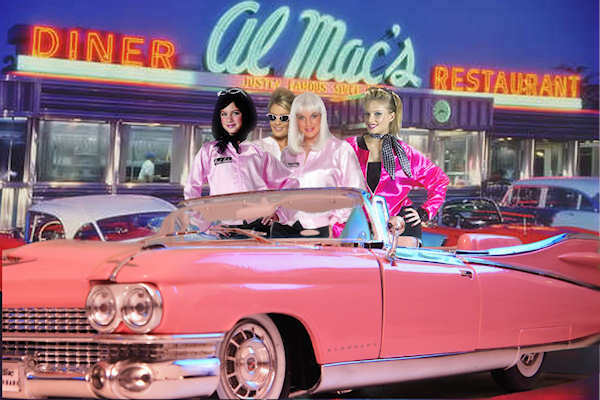 We put your guests in a pink Cadillac outside an American diner in the 1950’s. Fancy dress includeds. What are themes? They are a combination of fancy dress and background pictures together making a greatscene for us to photograph. Our themes are meticulously created with you in mind. 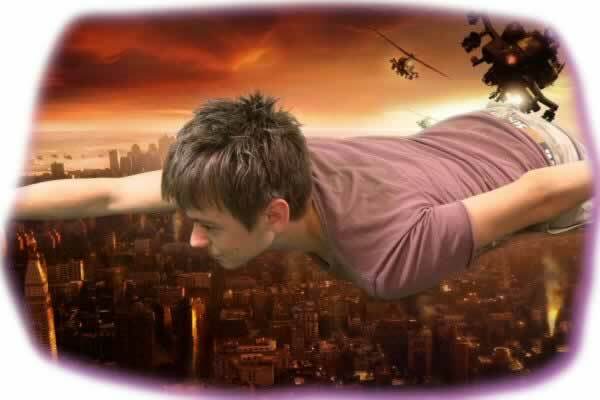 Imagine flying through the air like a superhero, but without leaving your room. 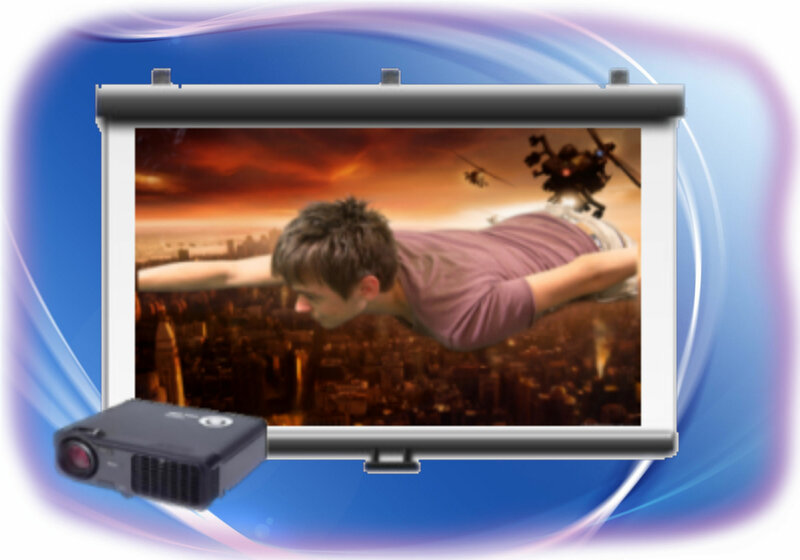 With green screen technology, you can see the transformed image on a tv in front of you. We simply take a photo of you and the final result appears. The system is so flexible and powerful that it places you in the action. Here are the themes you can choose from. Freedom are here to help you organise the most memorable and fun-filled hen night. We do all the hard work, leaving you to just enjoy the party! Freedom are here to help you organise the most memorable and fun-filled hen night. We do all the hard work, leaving you to just enjoy the party! I am a photographer in Beaconsfield, South Buckinghamshire, specialising in family portraits and lifestyle photography. I have always loved photography and I am lucky enough to be able to spend my time doing something that gives me so much pleasure. I hope to be able to share my enthusiasm for creating lasting images with you. We are a Photography Company based in London part of Action Sports Creative Services. 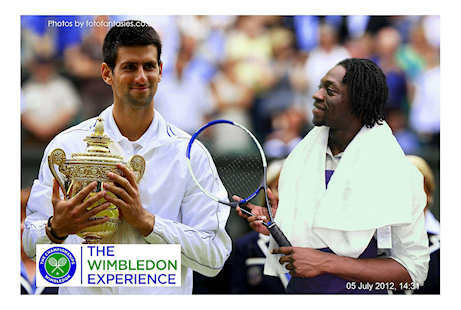 The Company specializes in photography on Sports Competitions, Tournaments, Events and Club Teams in Athletics Photography, Cycling Photography, Tae Kwon Do Photography, Ice Skating Ice Skating Photography, Boxing Photography and other Sports. We are committed to protecting our customers information. Our site's contact form requires users to give us contact information, like their name and email address, and unique identifiers. We use customer contact information from the registration form to send the user information about our company. The customer's contact information is also used to contact the visitor when necessary if they have subscribed to the mail list. Users may opt-out of receiving future mailings by choosing to un-subscribe. Unique identifiers are collected to verify the user's identity and for use in our record system. Contact information is used to send orders and information about our company to our customers. The customer's contact information is also used to get in touch with the visitor when necessary. 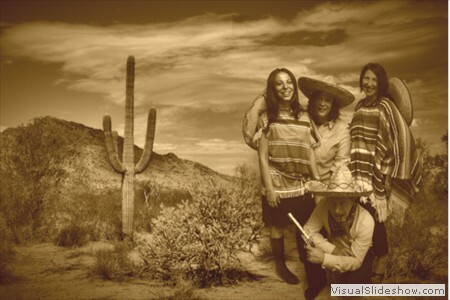 See what our open style photo booth could do for your party! 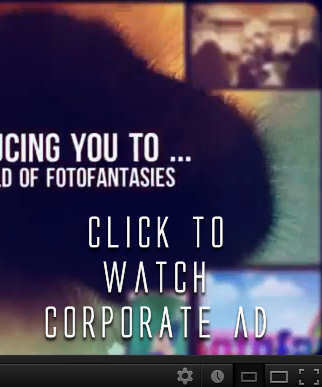 Let Fotofantasies handle your corporate event. Check out our video. You don't have to choose a package, you can create your own! Our website contains some packages that we have put together for you, however our flexible service lets you add and remove features to create your perfect event. PLease contact us for costs. Imagine your guests faces when they see their photographs appear on a slideshow in front of everyone. With this option we supply a projector and/or a screen to show some of the photos that were taken earlier on in the evening. Alternatively if you supply your own equipment, we can use that to show your images. 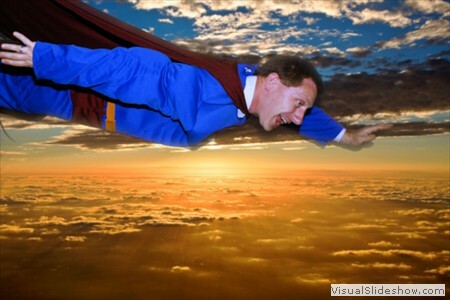 Imagine flying through the air like a superhero, but without having to go any futher then your event reception room. With green screen technology, not only can we make this happen, but you can see the transformed image on a tv monitor as it is happening. 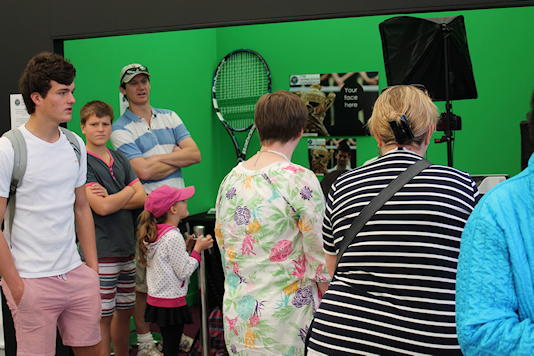 We simply film an individual or group shot in front of the green screen. Then with the magic of technology a new scene appears behind it.The system is so flexible and powerful that it places you in the action, and even works out what light would actually reflect on you from the theme behind. Incorporate your own background or branding We provide our own themes and props for use with the green screen technology. Typically the props provided match the theme that is chosen for the background, however if you have your own ideas then we will work with you to incorporate them into your event. 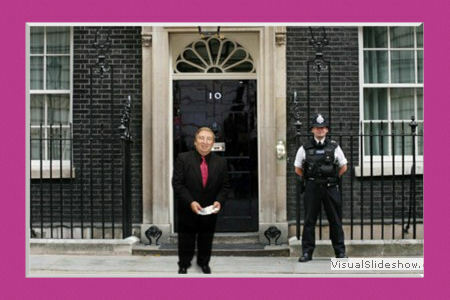 You can supply your own image for the background, and you can even bring your own props to use at the event. There is a supplement if you would like to do this, as we will need to adapt our software and set up for the new theme. We also hve the ability to print key rings on site. Each one is double sided and can be produced in about two minutes. 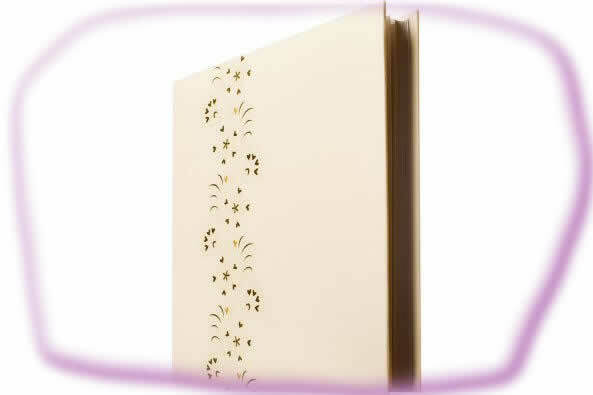 A luxury cream album, perfect for the guests to sign. Featuring a pretty vertical design on the cover. Contains 36 white leaves which will hold 216 150x100mm (6x4") photos. 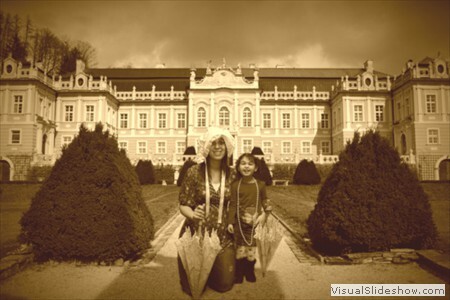 Vary the layout of your photos using the supplied photo corners for a personal finish. Inside the front page there is a space to fill in all the important details about the event, including both names, location, etc. Next to the photo, guests are encouraged to write a message to the hosts. Do you want some more?If you would like to have additional photographs printed out on the night or after the event, then that is no problem. This is for a batch of 50 photographs, placed into a high quality white backing card. It takes about one hour to set up our studio, however if you wish us to set up more than an hour before your event, then idle time is charged. This is charged for each hour that you need us to be there before setting up for the event. This also applies to after the event, if you wish us to delay dismantling the equipment. Your package time allowance does not include time to set up and dismantle but there is no charge for this. This ensures that the time you pay for is what you get. Extra hours to prolong the fun. If you have chosen to customise your package, then extra hours are available to purchase. 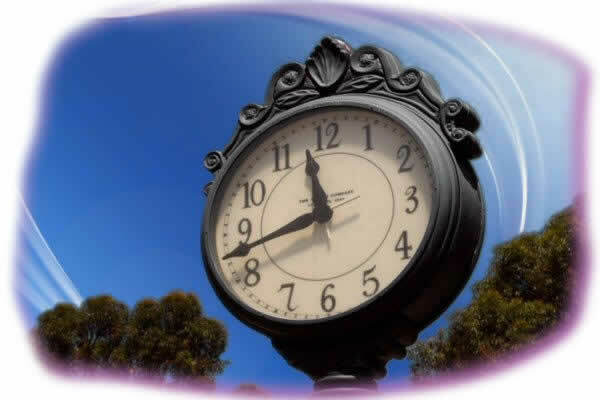 This extra time will give you the photographer and assistant/s, and time to print out more photos for you or your guests. If you find that you need to change the package to accommodate more guests, that is no problem. Depending on which package you choose, this may not cost any more at all. If you require printed photographs on the night, there will be an extra charge to cover the printer, paper, ink and labour costs. This price is per ten extra guests and covers the cost of the photographer, any assistants needed, paper, ink. There is a minimum charge of £350 for our services. Driving to your event will cost £2 per mile if you are further than 50 miles from us. The first 50 miles is included in the price. 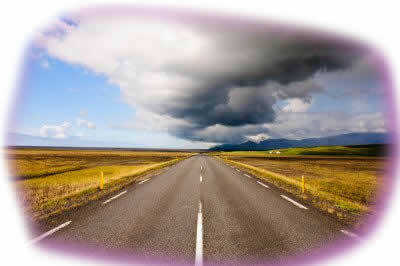 The journey length is detemined by google maps and the journey originates from our offices at AL2 1JG. This is an entry level package for those who don't need all the bells and whistles. Our photographer will come to your event and take pictures of your guests for two hours. Your guests can use our fancy dress and have their pictures taken one at a time, or in groups. There is no limit to the amount of photos we take and any photos we take will be available online after the event. Fuel and transportation for our staff is included in your package in the North London region. Please contact us for costs outside that area. The photographer will be available throughout this period to take as many pictures as you like. 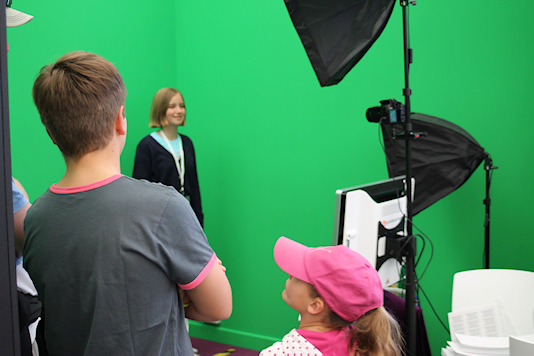 A green screen will transform the background into one of our stunning themes. 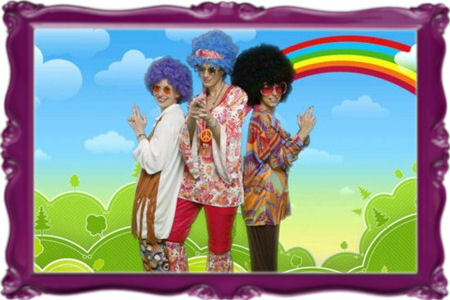 These will match the fancy dress themes chosen to give an authentic photo. We have lots of stunning themes to choose from. Contact us to find out about the themes specially chosen for this package. This will be available within two days of your event and will enable you to view all the photos. Our props will give your photo a fun feel, and are available for use as required. See your friends and colleagues in a variety of fancy dress outfits trying to get into character. This package is for those who want a basic but good value photo shoot. Our photographer will come to your event and take pictures of your guests for two hours. Your guests can use our fancy dress and have their pictures taken one at a time, or in groups. There is no limit to the amount of photos we take and any photos we take will be available online to purchase after the event. Fuel and transportation for our staff is included in your package up to 50 miles from AL2 1JG (calculated by google maps). Additional miles are charged at £2 per mile. We have many themes to choose from. The themes we have on offer are Pink Ladies in a Cadillac, Burlesque, Heaven and Hell, Pirates on a Galleon, Superheroes flying, 18th Century (outside a stately home), Mexicans in a desert, standing out No. 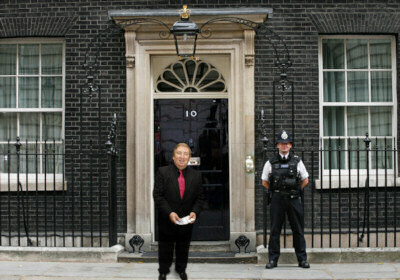 10 downing street, 1970s flower power and many more. A USB flash drive with all the photos of the event. Here are what each of the packages have to offer. Remember that these are not set in stone, so we can change packages for you. You decide what you want to happen on the day, and what services you want. Bear in mind the space you have available, your budget, how many guests you have and what they are expecting. 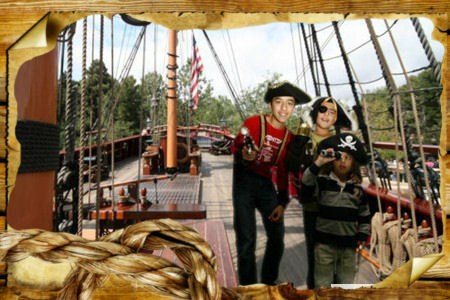 For example, most of our packages offer instant photo printing. However, if your budget is limited it is cheaper to let guests order photos after the event instead. Once you have chosen a package, you can make a booking over the phone and also call us for advice about which package to choose if you are unsure. We like to be flexible, so if you have any ideas about enhancing your event, we are all ears! If we have not spoken to you already, we'll call you within 48 hours of making the enquiry to discuss your requirements. This will help us plan your event and ensure that what you have chosen is suitable for you. You can either pay for the event up front through the website, or phone us to make a deposit. Please remember that payment must be made in full two weeks before the event. Two weeks before your event, we will contact you to obtain payment for the balance that is due. A few days before your event, we'll call you to clarify the final details. On the day itself we will arrive in good time as agreed and set up. Please remember that we are here to help your event be memorable and successful. If you have any questions or concerns at any time, please dont hesitate to give us a call. We come to your event and take photos of your guests in fancy dress and props. They stand in front of our backdrops, which can can be plain, or alternatively the best photographs come when we use green screen technology to create a theme behind them to match their fancy dress. This throws them into the scene behind. The photos can then be printed out and handed to the guests and/or stuck into a guest book. We can even project the photos on to a large screen. Our prices include travelling 50 miles from our offices in London Colney, Hertfordshire, but we cover most of England for an extra fee (£2 per mile over 50 miles). We can also offer our services internationally. Please contact us if you have any specific requests. why should I choose you over a photo booth? Having a professional camera and an open style photo shoot will give you creative shots from different angles to match your chosen theme. A choice of large 6x4", 7x5" and even larger photographs. Automatic uploads to Facebook, with photo email options or the use of our fantastic Social Media station which enables guests to send their photos to Facebook,Twitter,Email,Mobile,Pintrest or the printer for additional prints. Authentic props and wigs to match our fantastic unique screen backgrounds. 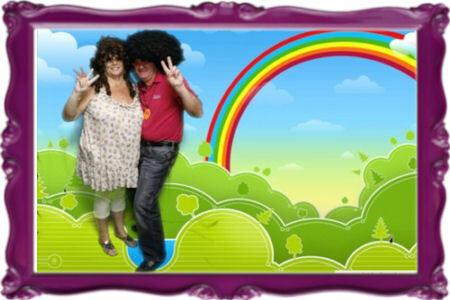 Our fancy dress items are specially hand picked to look authentic against our themed backdrops. Custom themes can be made for your event. Extra services like on-the-night photo projection at the event and special key ring printing. Our inflatabooth creates a fun enclosure for guests to enter and have their photos taken. Green screen options. A choice of many well planned themed backgrounds and props. We can be set up in places inaccessible to photo booths. We can take full length photos, not just head and shoulder shots. The more notice we have the better, as it gives us a chance to secure the photographer on your chosen day, however we do appreciate that sometimes you won't have the luxury of time. If we are available, and have the equipment and supplies in stock, then it may be possible to attend your event with as little as two days notice. what if I would like a different package? We've created four packages for you, however we are flexible and can offer you a host of extras that you can see in our Package Builder section. This way you can add to or take away from one of our existing packages, or even create one from scratch. 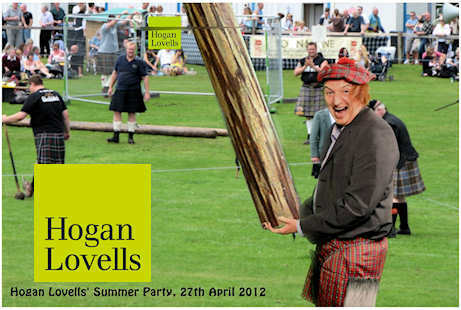 can I bring my own fancy dress or photo books to the event? Our props will give your photo a fun feel, and are available for use as required, however you may have your own theme in mind. For a small supplement, we can incorporate your own ideas into the event, although we'll need to speak to you beforehand to prepare for whatever you have in mind! what do we need to prepare for your arrival? The minimum space required is 3 x 3 m, however if you have less than this please contact us so we can work out how to accommodate you. We will need a double power socket and preferably one 6 x 3 foot table to set up our equipment on. A couple of chairs for our staff and people waiting to have photographs taken would be useful. To ensure that we have enough time to setup, we would need a clear area out of direct sunlight but protected from the wind and rain. can I order prints after the event? Yes, in addition to printouts on the night, your photos will be available online for purchase within 48 hours of the event taken place. what is the largest event you can accommodate? We can easily cater for up to 1000 guests, however for larger functions or corporate events we will be able to bring in more staff to cater for you. can I have prints on the night? Yes, some of our packages include prints for a guest book and for the guests. Most of these will be available within just a minute of having the photo taken. 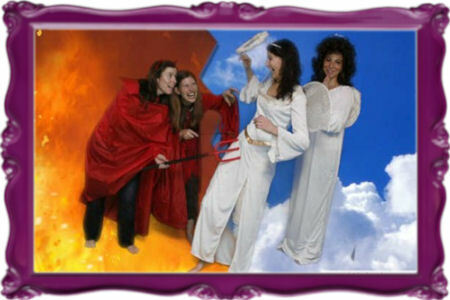 There are many themes which are based on fancy dress props and greenscreen backgrounds. 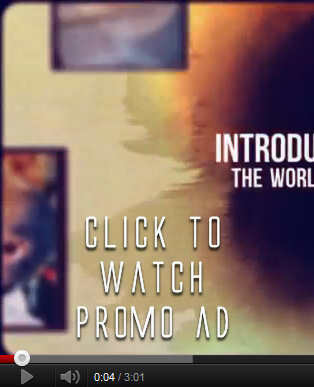 Check out the 'themes' page. Each theme has been designed to maximise entertainment and fun. Additional themes are available on request. We ask for a 20% deposit three months before your event, and the remaining money due two weeks before your event. If your event is less than three months away, then the deposit will be due straight away. We accept debit or credit cards, bank transfer, cash and even Paypal. You will receive a full VAT invoice. If you have any other questions, please call us for an informal chat. 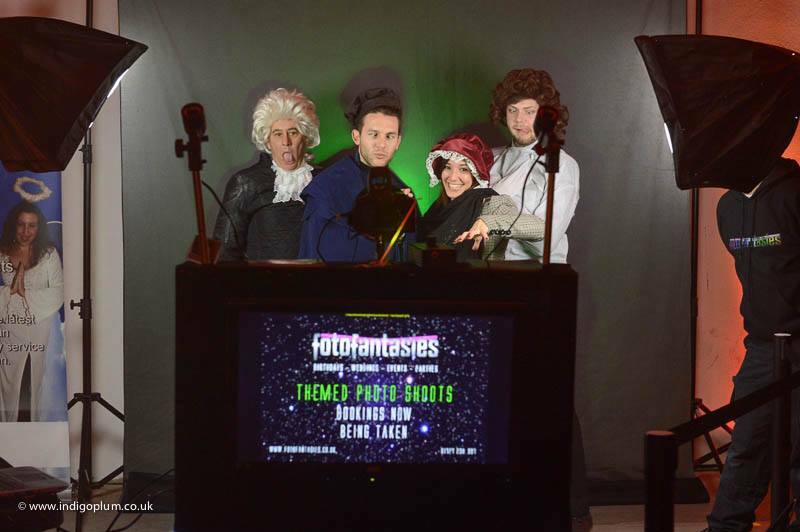 Use green screen at corporate parties, award ceremonies, product launches, concerts and more. 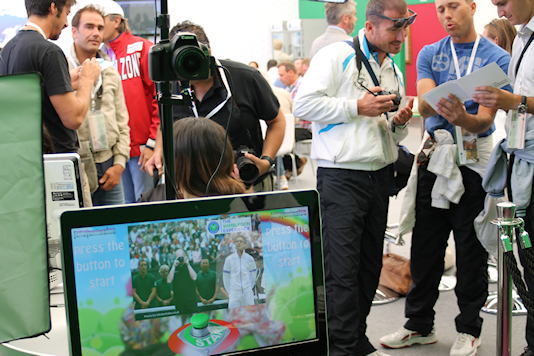 Our video above touches on some of the event services we can offer your company. 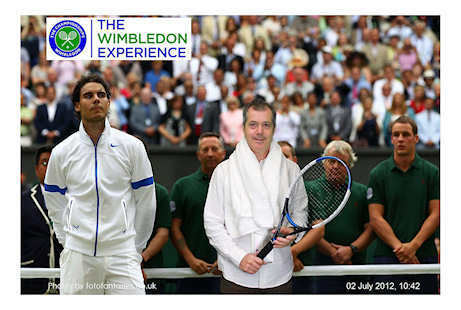 We offer Green screen photography at events such as corporate parties, conferences, exhibitions, awards ceremonies, product launches and concerts. Imagine your guests being transported to the 18th Century or standing outside 10 Downing Street, or the background can be themed to match your event. 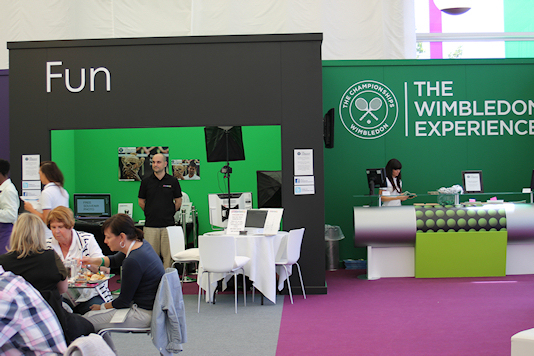 Your guests could even be pictured winning a tennis tournament as used at The Wimbledon Experience shown below. 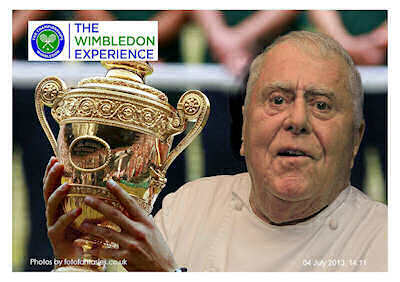 The famous chef Albert Roux kindly posed for us at the event. 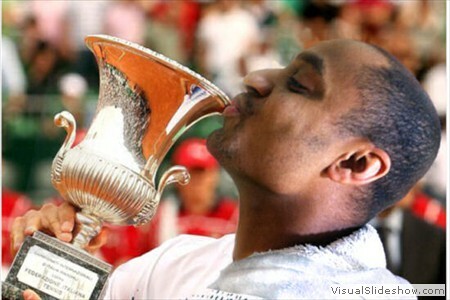 In the shoot, there was no cup, no tennis court, just him. Our computer put everything else in and printed it out within 30 seconds. These photos are taken in real time where guest after guest can be photographed and given a printout. If you don't need your images printed out at the time, it may be possible to work without any power and are therefore more portable. All our images can be uploaded to online galleries for viewing and purchasing. They can even be printed on to T-shirts, keyrings and other promotional gifts. If you have a particular brand or background in mind, we can work with you to source the perfect image and props, or we can use yours. Green screen photos are a really interesting way to stimulate your guests and to provide them with a completely different scene to the location. Even if you are based in a dark and dingy location, we can use the screen screen to take them somewhere sunny! An all round package, good for an average event size. Our photographer will be there to take pictures of your guests for two hours. Your guests can use our fancy dress and have their pictures taken one at a time, or in groups. There is no limit to the amount of photos we take and any photos will be printed straight away for your guests to take home and/or to put in a guest book. They will also be online to purchase after the event, aswell as on a flash drive, which we will give to you containing all images of the day. Fuel and transportation for our staff is included in your package up to 50 miles from AL2 1BG (calculated by google maps). Additional miles are charged at £2 per mile. 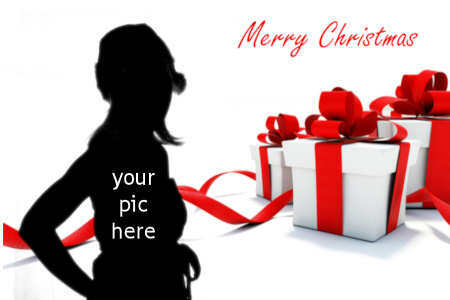 Within a few minutes of having you photo taken, you will be given two photos, size 6x4 inches. A lovely guest book for your guests to put their photos in and write comments next to. So the guests and hosts can remember the day, you have one each! We have many stunning themes to choose from. The themes we have on offer are Pink Ladies in a Cadillac, Burlesque, Heaven and Hell, Pirates on a Galleon, Superheroes flying, 18th Century (outside a stately home), Mexicans in a desert, standing out No. 10 downing street, 1970s flower power and many more. A great top end package which gives you all of our great features. Our photographer and assistant will be there to take pictures of your guests for four hours. Your guests can use our fancy dress ready to have their pictures taken one at a time, or in groups. 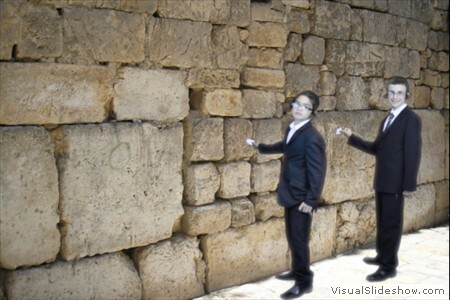 Because of the green screen, they will be immersed in the location that we superimpose behind them. There is no limit to the amount of photos we take and any photos we take will be printed out straight away for your guests to take home and/or put in the guest book. We will also give you a flash drive containing all images of the day. Additional photos will also be available online to purchase after the event. Fuel and transportation for our staff is included in your package up to 50 miles from AL2 1TB (calculated by google maps). Additional miles are charged at £2 per mile. 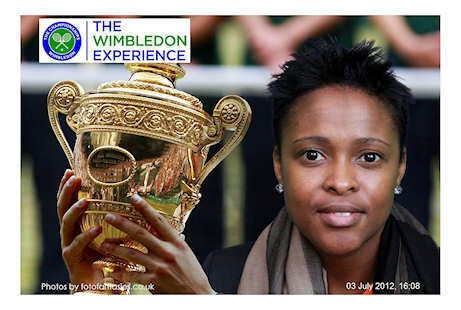 Within a few minutes of having you photo taken, you will be given two photos, size 7x5 inches. 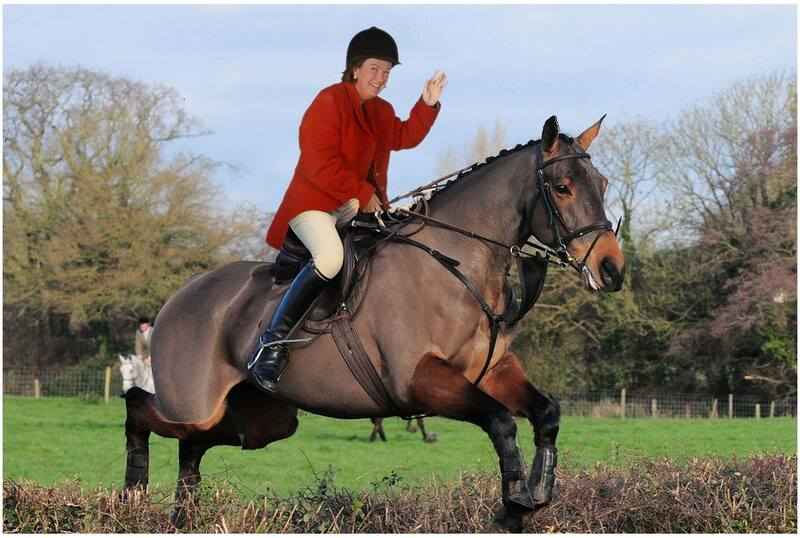 This will be available within two days of your event and will enable you to view all the photos . We have put together a great package with some unexpected features! This really is the ultimate package. Our photographer and assistants will be there to take pictures of your guests for four hours. Your guests will be able to come and go and use our fancy dress and props ready to have their pictures taken one at a time, or in groups. Because of the green screen behind them, they will be immersed in the location that we super-impose behind them. There is no limit to the amount of photos we take and any photos we take will be printed out straight way for the guests to both take home and put in a guest book. The photos will also be online to purchase after the event, as well as on a flash drive, which we will give to you containing all images of the day. To add to that, each person will receive a printed key ring. 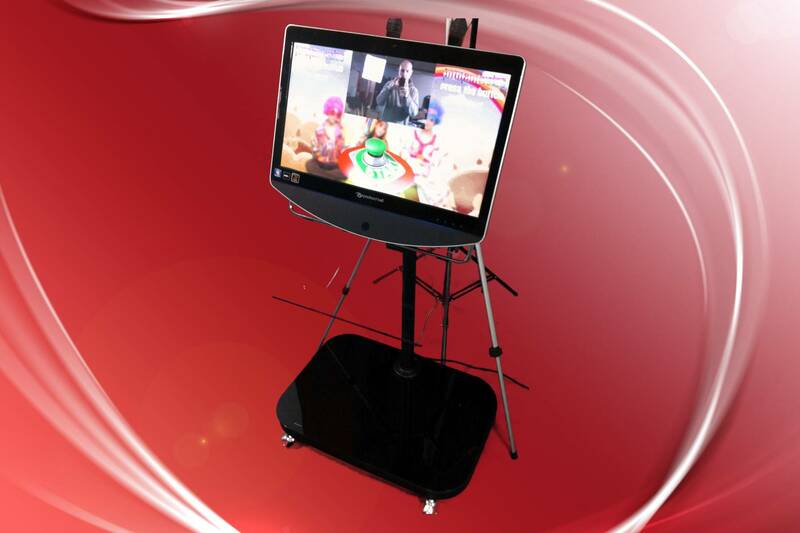 We will also display on a screen where guests will be able to view them and enjoy the fun! This is a lovely touch and gives the guests a favour to take home. These can double as name places. We provide a screen and show some of the photos taken earlier. A real fun time for the girls is guaranteed!! We have tailor made the ultimate package for your hen party. If you are looking for an unusual but really fun activity, this is perfect for you. 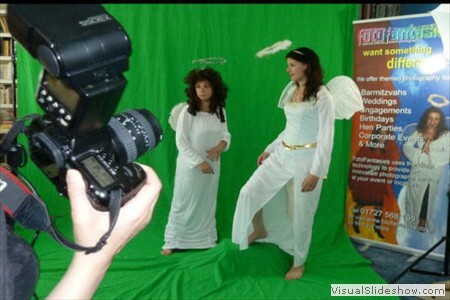 We can turn part of your own room or venue into a special effects green screen studio. With the wonders of technology, over a one and a half hour session we will transport the 'chicks' into another world, whilst sipping away at a bottle of bubbly that we supply. With the aid of fancy dress, props and a theme behind you, you will have such fun dressing up and having your photos taken. Not only that, but photos will be printed out right away and given to all the chicks, as well as printing out more to put in a hen book for your friends to write messages in. There is even a live viewing TV screen to let you see what you look like in front of the super-imposed theme. If you need us to arrange a venue, then this can also be arranged for an extra charge. Get your party off to a great start with a bottle of bubbly!! The photographer will be available throughout this period to take as many pictures as you like. Set up time is approximately an hour. Dismantling time is around 45 mins. To assist the photographer, each hen package comes with an additional member of staff to look after the photo printing and all the technology. So the guests and hen can remember the day, on the day we will print out a photo of each theme for each of your 'chicks' who appears in the photo, as well as a copy of each one for the hen book! Photos are 6x4" each in size, although larger prints can be purchased for an additional charge. Pens supplied. A limit of 50 printed photos applies. More photos can be purchased if required. We have some stunning themes to choose from. The themes we have on offer are Pink Ladies in a Cadillac, Burlesque, Heaven and Hell, 1970s flower power, 18th Century (outside a stately home),Mexicans in a desert and many more. Bring yourself and your family to our studio for a photoshoot to remember. Price includes a photo shoot for one person. Imagine unleashing your cutlass on board a pirate galleon, or flying through the air like a super hero. 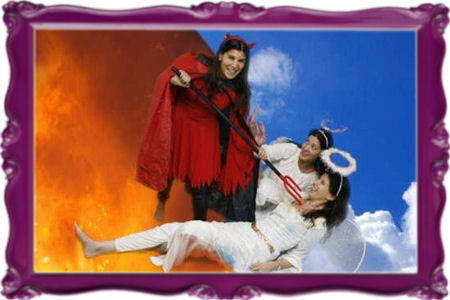 We can put you right in the action with our special effects photo shoot. If you are looking for an unusual but really fun activity, this is perfect for you. Come to our studio and enter another world where we give you the chance to dress up with our fancy dress and props. 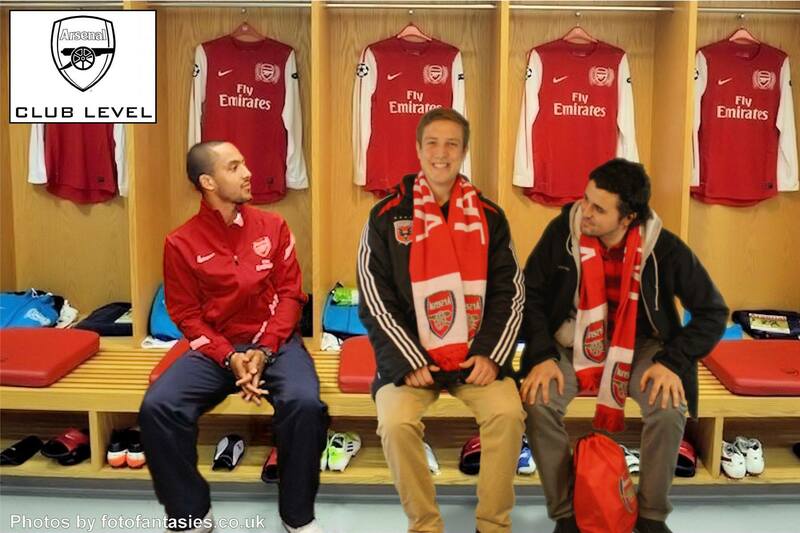 We wil then photograph you in front of a magic green screen. On the viewing monitor you can see yourself imersed in your chosen theme. 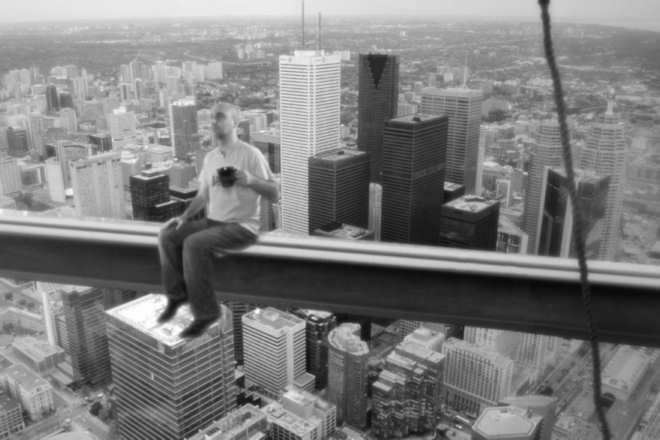 When you see the finished photo, people wont believe that you weren't actually there. With the wonders of technology, over a half hour session we will transport you into another world. You will also be able to have a photo taken with Christmas theme and have it printed out ready to send to a friend or family member. There will be different backgrounds to choose on the day if you want a different style card. Extra cards will be available for order on the day. An example of an XMAS card we can order for you on the day. Exclusive use of our studio for the duration of your booking. We have boxes of props for you to choose ranging from wigs to full costumes. Each box is designed carefully to match each theme. There is no limit on the number of photos we take over the session so don't worry if we don't get your best side first time! Take a look at all the photos taken and pick your best one to be printed out. Or have your pic turned into an XMAS card. More photos or cards are available to be purchased on the day. A selection of your best photos will be put online for you to look at or order extra copies. You are welcome to bring a couple of friends or family with you to the photo shoot for moral support! This fun workshop will introduce you to the software and hardware that will enable you to produce special effect photographs. 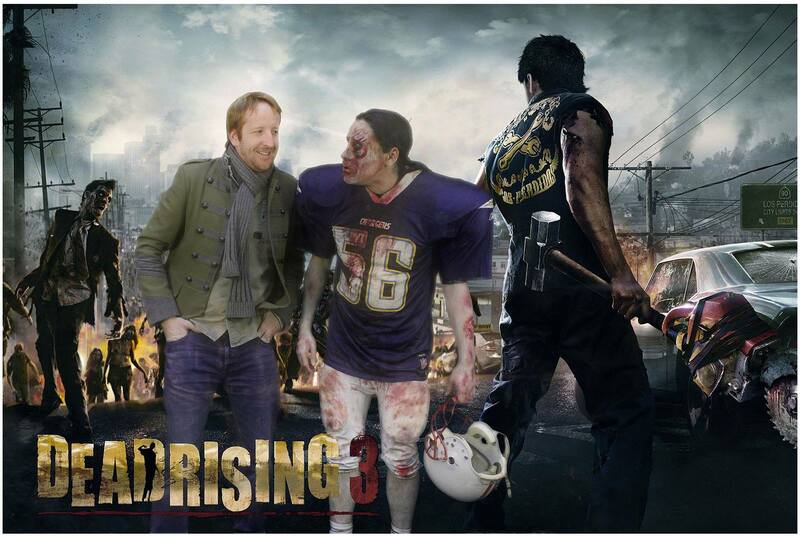 Using green screen technology and fancy dress we will show you some of the methods used to make the magic happen. You will then have a chance to dress up and have your photo taken. By the end of the workshop, you will be familiar with the technology needed to do this kind of photography yourself. All equipment and training materials for the duration of the workshop is included. The workshop will include a short tutorial on each step, from taking the photo to editing and printing out the finished result on our sub-dye printer. As we will be taking photos of the group, you will be dressing up in fancy dress, so prepare to have some fun (note all fancy dress will go over exisiting clothing). Maximum group size 6 people. We have boxes of props for you to choose ranging from wigs to full costumes. Each box is designed carefully to match each theme. These will be used as part of the workshop. Some additional seasonal themes may be available for you to order prints such as XMAS cards etc. There is no limit on the number of photos we take over the session as this is part of the workshop. As a take home present we will give you each a photo, although we would be happy to send you a link to an online gallery after the event which contains all photos taken on the day. Tea and coffee will be supplied during the workshop. If you have any questions after the workshop, we will be pleased to help. The software and hardware needed for you to be able to perform green screen photography for use with your existing camera will be available for purchase on the day. This will help you perfect your skills after the course has finished. If you wish to add even more features to this package, please enquire or ask us on the day. We want you to have a great time so please let us know if we can make your time even more special. Suitable for ages 13-100.